It’s a good bet to assume you’ve already taken the trouble to set up a network in your home. But while many see their network as only for accessing information from outside your home – it can also be used to share files and documents within your home as well. 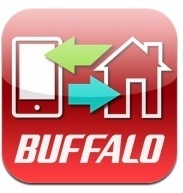 Buffalo offers a number of networking products and connected storage solutions to suit your home or small business. 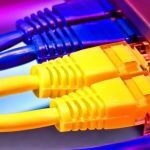 Today access to the internet is as important as our water, gas and electricity connections and a network connects the computers at your place to the online world with either a cable or wirelessly. And while it makes it does make it easier to find and share information on the internet, a home network can also be utilised to share information and even devices under your own roof. Apart from sharing an internet connection, computers can also share printers, scanners and even access other computers on the network. 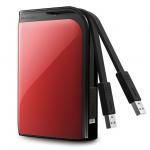 Another product that can be utilised on a network is an external hard drive. Regular hard drives extend the storage capacity of the computer it’s connected to. A network hard drive, on the other hand, can be connected to your router and be shared with all the computers on the same network. 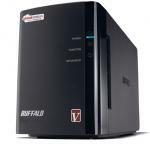 One company which has experience in both networking and hard drives is Buffalo. It recently announced an update of its popular LinkStation network storage range designed just for general consumers and their homes. The V Series line is made up of the LinkStation Pro and the LinkStation Pro Duo which contain not only the actual hard drives but also storage technologies to help with data management. Other features also make it easy to access and share the data within the home or remotely from anywhere around the world making it ideal for the home or small business. There is an iPhone, iPad and Android app called WebAccess which allows users to log onto their connected drive from anywhere in the world with a wireless connection to the internet. Each of the products has a 1.6Ghz processor on board which offers impressive performance with transfer speeds of up to 76MB per second across your network. This is twice as fast as other network hard drives on the market and significantly faster than USB 2.0 external hard drive solutions. The LinkStation Duo and Duo Pro models also offer RAID (Redundant Array of Independent Disks) which basically means storing the same data on multiple drives – a back-up of your back-up. This means that if there are two disks and one of the drives fails – there is the other to fall back on. 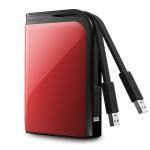 The Duo and Pro Duo models also have swappable hard drives to easy servicing. Having a connected hard drive in the home or office means easy access to digital content for everyone on the network. At home, for example, if some has taken pictures at a family event can create an album of the digital image on the connected hard drive. Other members of the family on the same network can access the hard drive drom their respective devices and browse the images and even make their own copies of their favourite images. Users can so the same thing with documents, music and videos. The Buffalo LinkStation V Series devices are also DLNA (digital living network alliance) compatible which means the connected drives can also accessed on devices like the PlayStation 3 and Xbox 360. 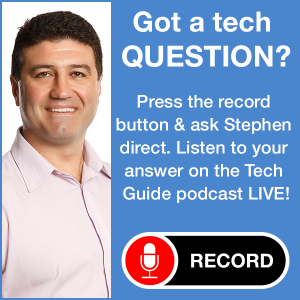 The products work well whether on a PC or a Mac and also Apple’s automatic back-up system Time Machine. The Linkstation Pro (single bay) is priced at $249 (1TB) and $329 (2TB). 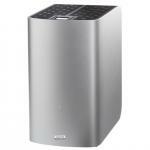 The LinkStation Pro Duo is priced at $449 (2TB) and $699 (4TB). And while Buffalo make the hard drives that are being connected they also make the routers that can actually provide that connection. The Buffalo Nfiniti AirStation WZP-HP-G300NH wireless router has 802.11n specifications and allows wireless connections of up to 300Mbps. There are five Ethernet ports on the rear panel of the device to allow for direct connection to a modem and up to four other connected products. It has automatic channel support which selects the best available wireless networking channel for optimum performance. 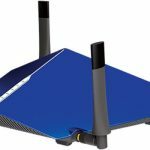 The Buffalo NFiniti AirStation wireless WZR-HP-G300NH router is priced at $129. Here’s an external hard drive with a difference. For a start the Buffalo DriveStation has a horizontal shape which means it can be used in places where a regular hard drive can’t. One of these places is among your entertainment devices including your television, your PlayStation 3, your digital video recorder as well as your computer. The DriveStation, available in 1TB, 1.5TB and 2TB capacities, can expand the storage capacities of these devices and also stand alone as a regular external hard drive connected to a PC. An LED reading on the front of the product provides a reading on how much free space is on board. This plug and play solution can be connected to extend storage of televisions and recorders and even be used as added capacity to store recordings. The Buffalo DriveStation AV USB 2.0 Multimedia Hard Drive is priced at $179.95 (1TB), $199.95 (1.5TB), $279.95 (2TB).